5 Expert Ways to Increase Traffic without a Budget ! Home SEO 5 Expert Ways to Increase Traffic without a Budget ! In today’s competitive landscape, making sure your website can be found by potential customers is essential to a steady flow of traffic, leads, conversions, and ultimately, revenue. Yet, not all webmasters have an unlimited budget, creating an uphill battle as they compete with large or established brands with two, three, or even ten times the cash to spend on inbound marketing campaigns. If you’re one of the webmasters or business owners that wants to increase traffic without a budget, you’ve come to the right place! We’re sharing 5 expert ways to drive quality traffic to your website, even if you have limited amounts to spend. Search engines like Google and Bing rank websites based on algorithms that contain numerous ranking factors. Websites that are properly optimized against these ranking factors have a better chance of being displayed highly in search results pages. While keywords used to be the most well-known ranking factor, modern search engines are looking to provide the user with an exceptional user experience. The ranking factor of user experience has shifted the way webmasters present their content, making relevant, helpful, and informative content a high priority. In addition to these characteristics, each page of your website should include proper meta tags and descriptions. Here, you can focus more on including keywords relevant to your business – the inclusion of these keywords should sound natural and conversational. Did you know that including images throughout your website can help you rank? Not only do images make your website more appealing to customers, thus keeping them on your website for longer periods of time (this is another ranking signal that can help you rank positively in search engines), you can further optimize them by adding titles and alt descriptions. When adding an image to your website, make sure to save it with a clear, concise description that is relevant to the product or service you provide. This description helps search engines understand the relevancy of your page which can help you rank. For the photo’s alt description, pick a variant of the title, possibly a keyword that’s relevant to your business. This is the text that will appear on the website should your photo not load. This description can be helpful for users, creating a better user experience, and can also give search engines a better idea of what your website is about. One of the easiest ways to increase traffic without a budget is to work on your page load times. This is the amount of time it takes for each page of your website to load. The longer the time, the higher the chance the user becomes frustrated, in some cases, hitting the back button, returning to the search results page, and visiting a competitor’s website. If you know your website isn’t loading as quickly as you’d like but you’re not sure where to find answers for the impossible quiz (or what seems like the impossible task in front of you), check out Google Developer PageSpeed Insights, which will test your website URL and provide tips for how to increase load times on both desktop and mobile versions of your site. The advice is broken down into easy to understand segments so you can work on one, test it with the Google PageSpeed Insights, and see if your scoring has changed before moving onto the next item advised. It’s like having a trusted and pre-determined roadmap for increasing your page speed. With so many websites appearing on a daily basis, it is becoming more and more difficult for webmasters to engage their readers for more than a few seconds. The old saying “There’s always something better just around the corner” is particularly true when it comes to the vast playground called the internet. This is all the more reason why website owners should always try to keep the end user in mind when creating their content and try to capture their attention through fun and interactive strategies. A good example of this would be to create an Impossible Quiz simulation and award the user who manages to find all the answers for the impossible quiz something valuable that you’ve created (e.g. an ebook, an online course etc.) This type of contest can be shared throughout social media and increase your website traffic without much of an effort from your part. If you haven’t already, create a Google Webmaster account and register your website. Doing so ensures that your website is known by Google so it can be indexed. You’ll also get other great analytics such as website traffic, click through rate, time spent on site, and more. If you’re unsure of how to register your website, get started by visiting this page from Google. Once set up, you’ll also want to submit a sitemap. Sitemaps are a way to tell search bots what can be found on your website in a way that’s easy for the search bots to read. Adding a sitemap can have immense effects on your website traffic with some webmasters reporting 2x and 3x traffic in just a few weeks. If you don’t have the budget to drive traffic through ad campaigns or sponsored content, don’t worry! 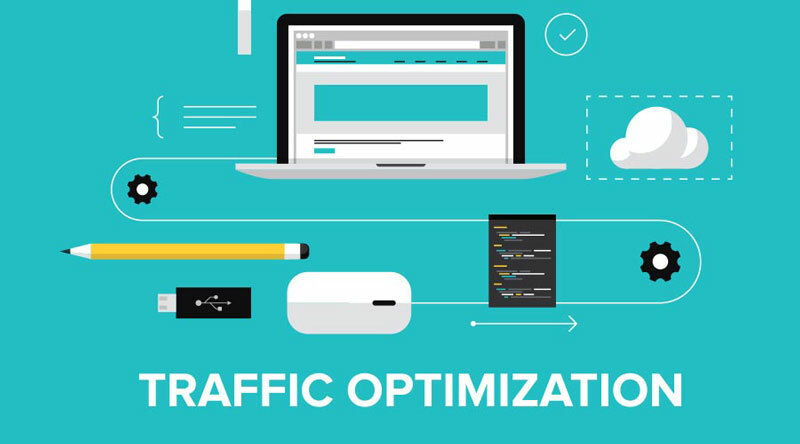 There are numerous free ways to optimise your website and increase traffic without a budget. And the best part? When implementing the above expert tips and tricks properly – using white hat techniques of course – you can ensure accordance with search engine algorithms for a steady flow of traffic that benefits your business year over year. And before you know it, you’ll have more cash and budget to allocate to marketing efforts so those paid campaigns might be closer than you think. Previous articleWhy Ruby On Rails Has Been a Good Solution ? Next articleTop 5 Best Download Managers for Mac OS that Boost your Downloading Speed ! hi, admin! Thanks for your article. I already have done what you suggest. But i don’t have much traffic on my website. What should i do. Bro First You need to properly setup your websites and then do some basic SEO things such as Submit sitemap to google, Do Off page SEO, sharing on different social media ad this kind of things. The second most important deliver high-quality content to your website that your visitor comes again to your site.